Scrivener has become my best friend. I wouldn’t create a book any other way. It starts with the way you write. Instead of writing in one long document, as in Word, you can create individual chapters. It allows you to think in short bursts. Create content one chapter – one thought – at a time. It shortens up your ideas and helps you focus the details. Then with Scrivener’s navigation, you can easily drag and drop chapters anywhere you choose, as you correct, add and change things over time. Scrivener also has subsections for all the pieces of your book. It’s a workhorse for helping you plan and create, from the first character concept to the final export of your manuscript. For my novel, I used the character profile section to help me plan and create. Each character has their own profile page, where I have written out details, add photos, provide links to things that were important. I have their connections clearly defined to each other character in the book. I’ve included photographs to help me “see” who they are. It helps me “see” them as I’m writing the story about them. Once you use this feature to help you write, you’ll never go back and use any other program. And best of all, when you’re finished, you can save it in any file type you choose: pdf, mobi, epub, docx. You simply compile the chapters you choose, and Scrivener puts it together. Easy peasy. I was first introduced to this tool through a writing friend of mine. After debating a few days on whether I needed it, I decided to give it a try. Within minutes of using it, I upgraded to the yearly subscription almost immediately. 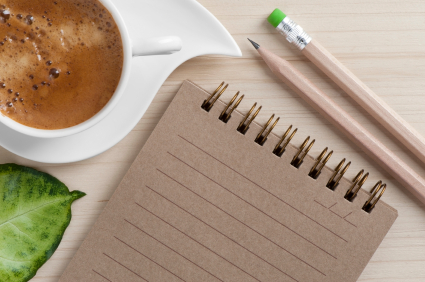 With Grammarly, plug in your writing and it will clean up the basics. Things like spelling, punctuation, even make recommendations for different grammatical issues. It’s a great start to editing your book. And by running your work through Grammarly first, your editor can focus on more important issues. I no longer use it only for my books, I plug my blog posts and other writing into it as well. It catches those stupid little mistakes you overlook as a writer. No matter where I’m writing, I always have an open browser ready and waiting. Google is one of the most powerful tools you can use. And it’s free! As a writer, you never want to use the same word over and over and over again. Boring. So your main character can only “smile” so many times before repetition begins to showcase your lack of meaningful interaction. Use Google and search “smile synonym”. There you’ll find a wealth of opportunity waiting for you, ready to give you dozens of ways of saying something in different ways. His mouth held just a hint of what was bubbling up inside of him. Of course, Google doesn’t stop there. Want to make your characters travel? Do a search. Want to find a great restaurant in another part of the world? Google will help. Want to find character names? Google it. While writing my current book, Destination Barcelona, I wanted to name each character in my book authentic names from both the region and time period I was writing about. If you’re writing about 40 and 50-year-old people, you want to find names that were commonly given to babies born in the 1960s and 1970s. So a Google search “popular names Barcelona 1970” gave me many lists of baby names that were common in that region, during that period of time. Adjust accordingly. Yep, no matter what I need, Google is there with an answer. You just have to ask. I have to have music to write to. And every character, every novel has different feelings and emotions that fit with the story. 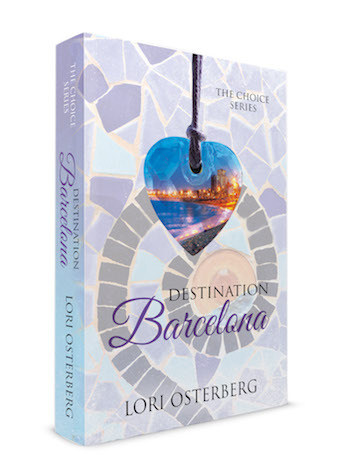 Destination Barcelona had a strong Spanish vibe, while Los Angeles had more of a pop beat. Certain songs helped me develop the characters. They pulled me into the storyline and gave me the motivation to get the story out. I can’t imagine not having a playlist right on my desktop ready and waiting for me to add songs to when the mood fits. And Spotify makes it easy. Yep, I’ve listened to those songs, those lists, over and over again. But when I hear those songs, I “see” my characters. I feel the scenes. I move to their story and create details in a more meticulous manner. Yep, Enrique Iglesias was one of my go-to musicians while writing Destination Barcelona. And now, whenever I hear one of his songs, I instantly am transported to Spain, and see Casey and Jordi’s story all over again. What tools do you use as a writer?